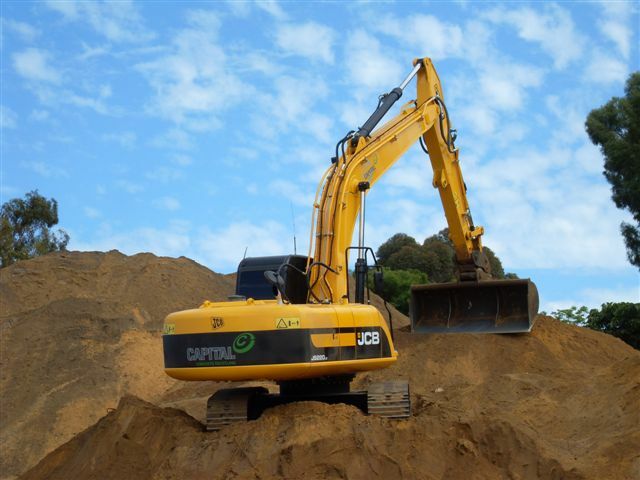 t Capital Demolition we have over 20 years of experience in earthwork contracting, draining and demolition. We are able to offer our commercial clients an extensive range of site remediation services throughout the Perth region to complement our other specialities. Additional services available include demolition, crushing and screening and recyclable waste removal. We are able to work on both larger residential and commercial projects and can supply the right products and services to save you both time and money. We pride ourselves on being environmentally responsible and are able to recycle a substantial amount of materials which would otherwise end up in landfill. Our qualified team are available to perform the processing of earthworks on site and can prepare the land for the next stage of construction. We can reuse what is already there by crushing and screening, eliminating the cost and time investment of having to remove and replace the materials. We can take care of the entire process from the initial demolition to the earthwork preparation. If your site has contaminants and waste which needs to be cleared, Capital Demolition have the right tools to remove them. We can clear your site, and we always strive to recycle materials wherever possible. With two of our own recycling depots, our goal to minimise waste has the additional benefits of creating cost effective, high quality remanufactured materials ready for reuse. There are some materials which cannot be recycled, and we have the correct procedures in place to safely remove them. This includes asbestos, which our team are trained to handle and dispose of in the appropriate manner. When our clients need additional materials for their site remediation in Perth and throughout Western Australia, we can provide them with what they need, with very little waiting time. Our services and prices are transparent, and we offer a free, no obligation quote. Our products include remanufactured 19mm road base, Recycled fill sand and remanufactured aggregate. With a variety of uses these materials each have their own benefits and we can advise you on the correct product for the job. When you choose our recycled products, you can be assured you won’t be sacrificing on quality. At Capital Demolition we offer competitive pricing and will beat any genuine written quote. We are a trusted company and our experience speaks for itself. With safety in mind, we have grown significantly and now have 40 employees and our own branded fleet of equipment and vehicles. With exceptional service and qualified staff, we can deal with councils while ensuring all workplaces meet the highest safety requirements. If you would like to enquire about our site remediation services, or demolition, recycling or asbestos removal, please contact us today.